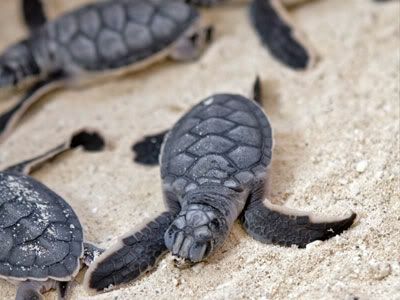 Life's a Beach | Expat Life in Playa del Carmen : It's Turtle Nesting Season on the Riviera Maya! It's turtle nesting season again on the Riviera Maya! Every year, adult female Loggerhead and Green Sea Turtles make their way to the beaches of the Riviera Maya, build nests and lay up to 150 soft-shelled eggs twice each season. When the baby turtles hatch (approx. 60 days later), they instinctively head for the water, using the light of the moon for navigation. They smell and taste the sand as they find their way to the ocean and remarkably will return to the very beach where they were born when it comes time for them to nest. Our good friends at Cabanas Tulum and Ziggy Beach would like to remind everyone to take care during this special time and have shared with us a list of helpful recommendations to consider during this special time! 1. Do not use lights on the beach, shut off balcony lights, and cover all outside lights and windows if you are in a house/condo. 2. If you see a turtle coming ashore to lay their eggs, notify your hotel staff or turtle patrol if you happen to see them on the beach. 3. Do not approach the turtles (unless specifically at the invitation of turtle patrol), do not touch the turtles, definitely do not interfere with any part of the nesting process. 4. Do not take flash photography, this will definitely spook the mom. 5. Do not have beach parties during the nesting season. 6. Keep the beach free of litter or any obstacles that may get in the path of the turtle (bring in beach chairs at night, etc). 7. Keep pets indoors at night, barking dogs are not turtle-friendly. 8. Do not disturb the nests, if you see what you think is a nest that has not been marked, notify the hotel or the authorities. If everyone works together and respects these rules, we can ensure a long and happy life for this endangered species and their continued visits to the Riviera Maya for years to come. The best way to see the turtle nests and possibly baby turtles being released is to go on a night walk organized by CEA. Centro Ecologico Akumal is a non-profit environmental organization located in Akumal. They take out a maximum of 10 people each night at 9 pm. CEA is the only organization with permission to access certain beaches during the nesting season. The suggested donation is $15 for adults and $8 for children. Reservations are not accepted, so show up early if you can. 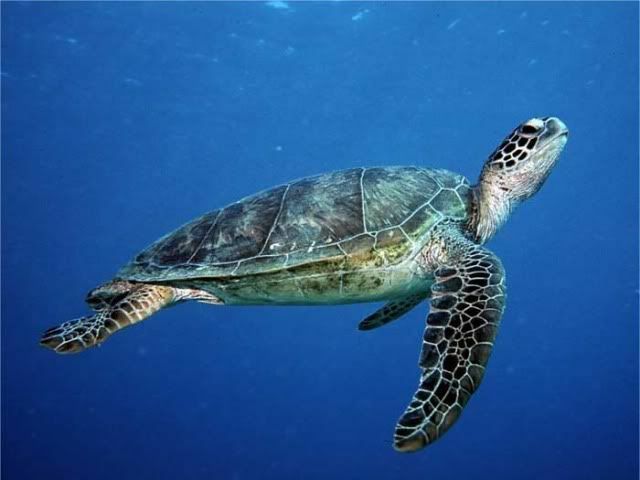 There are also regular presentations on the CEA Turtle Watch Program, with slides of the sea turtles and a lecture about their evolution, ecology, behavior, the threats to their survival and how we can help them. Share the love the beach inspires in you!